Charlie is a very friendly boy who really craves human attention and companionship. He can be very vocal when he wants your attention but he soon settles as long as you are touching him. 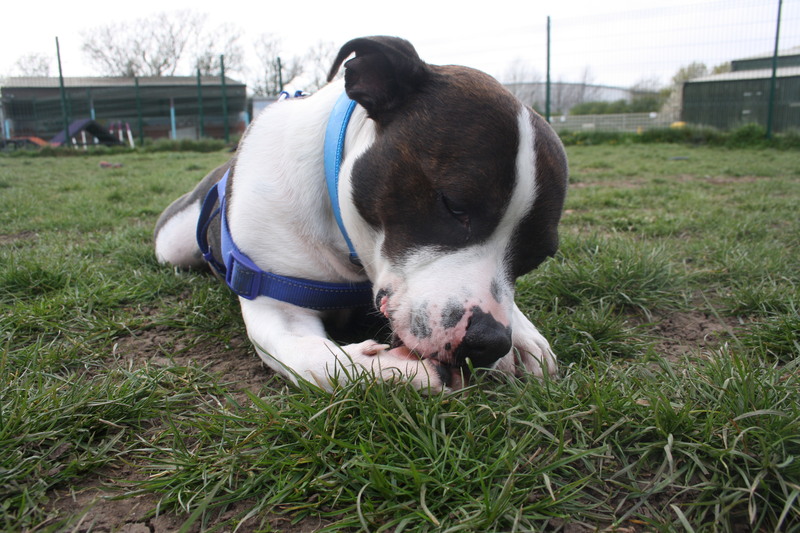 Charlie is a typical Staffie who will love you dearly and who will smother you with his affection. He can be quite needy and he does suffer from separation anxiety so he will need a home where someone is around a lot of the time. He is a very special boy who will bring a lot of joy to his new family. If you are interested in giving Charlie a loving home or require any more information, please call 0191 215 0435.